Located at Albuquerque International Sunport in Albuquerque, New Mexico, Cutter Aviation ABQ is an FBO facility with Fuel, Line & Guest Services as short and long-term hangar rentals. Located at the City of Colorado Springs Airport in Colorado Springs, Colorado, Cutter Aviation COS is an FBO facility offering Fuel, Line & Guest Services as well as short and long-term hangar rentals. Located at Phoenix Deer Valley Airport on the North side of Phoenix, Arizona, Cutter Aviation DVT is an FBO facility with Fuel, Line & Guest Services as short and long-term hangar rentals. Located at Phoenix Sky Harbor International Airport in Phoenix, Arizona, Cutter Aviation PHX is a full-service facility with Fuel, Line & Guest Services, Aircraft Service & Avionics, Aircraft Sales and Air Charter & Management. Located at Addison Municipal Airport in Addison, Texas in the North Dallas corridor, Cutter Aviation ADS is a full-service facility with Aircraft Service & Avionics, New & Pre-Owned Aircraft Sales including HondaJet, Pilatus, TBM, and Piper, and Air Charter & Management. Located at Centenial Airport in Denver, Colorado, Cutter Aviation APA is an Authorized Pilatus Sales & Service Center. Located at McClellan-Palomar Airport in Carlsbad, California, Cutter Aviation CRQ is a New & Pre-Owned Aircraft Sales facility including Piper, Pilatus and HondaJet..
New Aircraft sales by HondaJet and Pilatus are offered here. 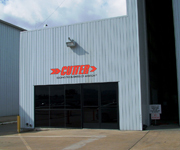 Located at the San Antonio International Airport in San Antonio, Texas, Cutter Aviation SAT is an aircraft maintenance service and aircraft sales facility. New Aircraft sales by HondaJet, Pilatus, TBM, and Piper are offered here.